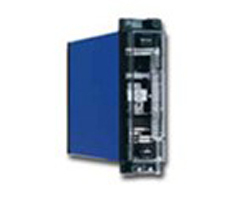 The type MVAW relay is intended for remote control of switchgear and associated equipment via long pilot wires. The relay will not operate on induced ac voltages, and its high pick-up current enables it to be used with anti-corrosion negative potential biasing devices. Suitable for a wide voltage range, the MVAW comes in self reset (MVAW11 - 1 element or MVAW21 - 2 elements) or manual reset (MVAW13) versions. Its compact design and positive action are enhanced with a high degree of mechanical stability.